The original board members of Peg City Car Co-op had an idea, but no credit. Grants were found to cover some of the start-up costs, but they were still short of their goal. Jubilee Fund was happy to make up the shortfall and in just a few years, Peg City Car Co-op has gone from a few people and an idea, to a member owned business of over 550 people sharing 18 cars throughout central Winnipeg. 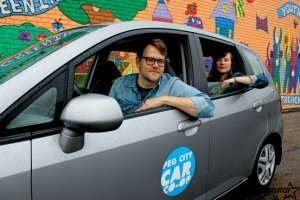 Peg City Car Co-op is now able to access credit to manage cash flow and capital costs without the Jubilee Fund.